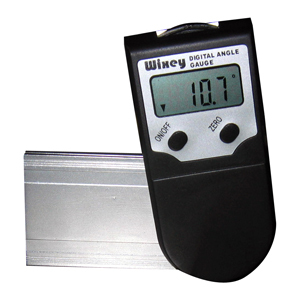 The Wixey Digital Protractors can be used in any plane. 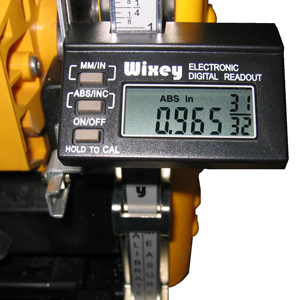 The Wixey Planer Digital Readout model WR510 has a new angled display for easy viewing as well as "auto shut off." And like the WR500, it fits most portable woodworking planers. It easily mounts to Dewalt, Delta, Ridgid, Ryobi, Makita, Craftsman and others. It mounts in minutes and is calibrated in seconds. It displays the thickness of the wood coming out the back of the planer in inches with fractions or millimeters. 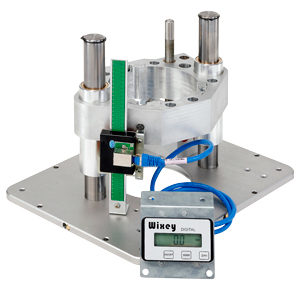 Ideal for router lifts - The Wixey Remote Digital Readout is a kit that can be adapted to a number of woodworking machines. Including router lifts, router tables, and shapers. It is a remote display connected with 3 ft. cord that can be disconnected for easy installation and access. The easy to install kit requires drilling 2 small holes in your machine using the drill bit supplied. Mounting hardware is included. Fits router lifts made by Woodpeckers, Jessem, Jointech, and others. Decimal = +/- .001 in. 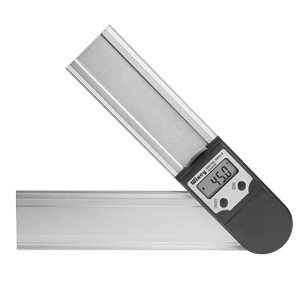 The Wixey Saw Fence Model WR700 fits most high end fence systems and measures up to 60 inches long. It easily mounts to Beisemeyer, Powermatic, Jet, HTC and other T-Square fences as well as Delta Unifence; and Dewalt, Vega and other round rail fences. 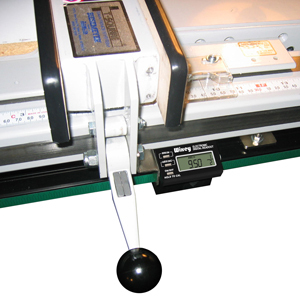 The innovative readout magnetic attachment system allows you to remove and replace your rip fence as quickly as ever without losing calibration.